Jess finished her first romance manuscript the summer before her freshman year of college. She attended Smith College and graduated with a double major in history and art history. She then received a law degree from Albany Law School. Shortly after that, she began working in the healthcare industry in Boston. She spent many years as one of the premier medical center’s Chief of Staff. While working as a lawyer in Boston, she completed two novels more and started a number of partials. In 2001, Bird married John Neville Blakemore III. Both her mother and her new husband kept telling her to send something in to an agent, a publisher, the Tooth Fairy, anyone. She thought they were nuts, but eventually got her nerve up and bought a lot of stamps. 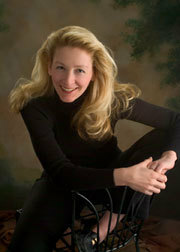 Since getting published, she has written contemporary romances as Jessica Bird and paranormal romances as J. R. Ward. She has been a Rita Award finalist, received two Romantic Times Reviewer's Choice nominations and has been a HOLT medallion finalist. “What are you going to have?” he asked. “A nervous breakdown,” she muttered and opened her menu.